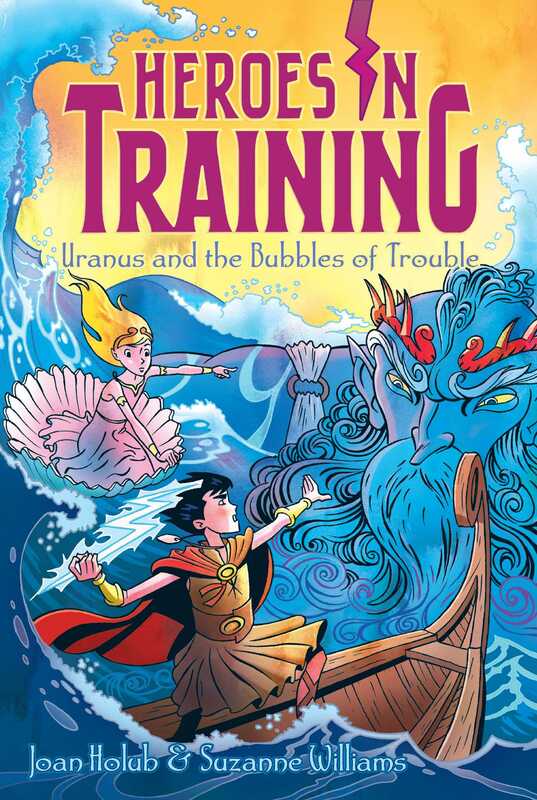 A clash between the Titans and The Olympians at sea leaves Zeus and his friends shipwrecked—and in a tidal wave of trouble—in this Heroes in Training adventure. After an encounter with Uranus, God of the Sky (and father of the Titans), the Olympians find themselves in the middle of a battle between two big-time Titans. On Cronus’s orders, Titan Oceanus dives into the sea and causes it to turn even stormier. He’s heading straight for the Olympians’ boat, planning to capsize it, no doubt. Just when it looks like the Olympians are done for, Zeus throws his thunderbolt high and causes a huge battle in the sky between the Titans.